Google did its best to court developers at this year's I/O conference with a much-needed integrated developer environment, API for better games, and the capability to more easily translate apps. Their allegiance will become increasingly important as smartphone and tablet hardware sees fewer dramatic improvements. "You guys, Android developers, are really the heart of this ecosystem and I think you know that. We have been on this journey together for over five years now," said Hugo Barra, vice president of Android product management, during the opening keynote. The past 12 months have been lucrative for Android developers, according to Barra. "Here is a pretty insane number for you: Google Play has just crossed 48 billion app installs ... but even better than that; over the last four months this year we have already paid out more money to Android developers on Google Play than in all of last year," Barra said. Google's focus on developers doesn't come as a surprise, given how the smartphone and tablet market is changing, according to those in the industry. "Without great apps and content, a mobile device is just a very expensive telephone. Making developers productive and engaged is the number one goal for any platform company and that seems to be the clear goal at I/O 2013," said Michael Mullany, CEO at development framework and tool vendor Sencha. As the hardware and design becomes less of a differentiator for smartphones and tablets, the service and the apps that developers create are becoming more important. "We all know that Android and iOS have significantly more apps than, for example, Windows. Is that a key factor in people's buying decisions? I think it's a factor and a growing one," said Mark Newman, chief research officer at Informa Telecoms & Media. Google isn't the only company that is chasing developers. This week saw the release of an open beta for Unity's BlackBerry 10 add-on, which lets developers use Unity's cross-platform game development tools to create games for the new operating system. With IDC's first-quarter numbers showing Android's smartphone market share at 75 percent and BlackBerry OS at 2.9 percent, the two platforms are in very different positions, and that is mirrored in their developer strategies. While BlackBerry is hoping cross-platform tools will lower the bar for developers, Google launched an IDE (integrated developer environment) for Android specifically. Android Studio, which is based on the IntelliJ IDEA Community Edition, drew loud applause from the audience at I/O. It is a step in the right direction for Google, thanks to features such as the ability to see how an app looks on different screen sizes, of which there is a growing number on Android. Better user interface editing is also something Android needs, according to mobile developer Konrad Hübner. "This is exactly where Apple is so much better and I hope Google can catch up. So far, I have done UI editing in XML and then hoped for the preview to work, but that is quite a pain," Hübner said. Mullany agreed: "Fragmentation is a significant problem for Android developers and the existing tools for creating Android apps have a pretty mixed reputation. The new Android IDE helps developers visualize their app experience on multiple device types and should help them be significantly more productive," he said. Users who want to take a look at Studio can download an early access preview from the Android developer website, with the caveat that several features are either incomplete or not yet implemented and users may encounter bugs. Another feature announced at I/O that caught Hübner's interest was a translation service that lets developers order professional translations directly from the Android developer console. "A translation service for developers to get their apps out in different languages is a cool service offering. Often translations are really poor if you look at apps," Hübner said. At first Google will offer the translation service as a pilot program for which developers can sign up from the console. Google has also added application optimization tips, the ability to see how effective ads are, revenue graphs as well as beta testing and staged rollouts to the console. The latter two features also got lots of applause from the keynote audience at I/O. Google also launched a number of APIs, including ones for more battery-efficient location-based services, geofencing and activity recognition, which are all part of Google's Play services. There is also a new family of APIs specifically for games. Play game service lets developers build games with leaderboards and multiplayer support. Cloud saves provide developers with a storage API to handle game saves and settings, allowing users to move between devices and continue from where they left off, Google said. But even if Google and its partners dominate at selling devices, Android still lives in Apple's shadow when it comes to app development. According to a recent survey from IDC and Appcelerator, developers who said they were very interested in developing for iPhones accounted for 89 percent of respondents, with 86 percent interested in iPads. 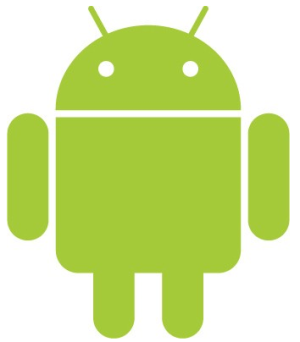 Just 77 percent felt the same way about Android smartphones, and 64 percent were very interested in Android tablets. "Most often we develop both iOS and Android apps, but iOS is still number one in our world. That's what you start with and if there is money left you do Android, as well," said Patrik Book, CEO at Swedish app developer AppByrån. Google still has some work to do, but Barra's message to developers was clear and simple. "We really want you to thrive," he said.